SIGGRAPH (Special Interest Group on Computer GRAPHics and Interactive Techniques) is an annual event and the world´s biggest conference on computer graphics and interactive media. Close to twenty thousand professionals, users, developers, educators, students, artists, and scientists get together to share the highest level of creative technology and research on the latest trends in animation, games, interactive graphics, virtual reality, and real-time computer graphics. This year the conference was held in August in Vancouver, Canada. 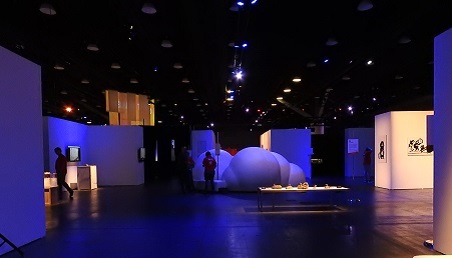 Every year the conference is held alongside the SIGGRAPH Art Gallery, for which professor Andres Burbano from the Department of Design at the Universidad de los Andes was asked to be art gallery chair of the art and technology gallery. For close to two years, Burbano received recommendations from innovating projects and visited different artists; he was looking for creative practices that were mediated through technology. From fifty proposals from all around the world, he chose twelve works that explored the topic of narratives from indigenous communities. The 2018 edition of the art gallery was called “Original narratives”. For Burbano – the challenge of proposing something different was embodied in works of art from contemporary media, pieces of art from indigenous communities, and other fragments of ludic practices from technological mediation. She Falls for Ages is a science fiction narration of the Haudenosaunee or Iroquois people who are a historically powerful native North American confederacy of Aboriginal nations. The piece was produced using a new media technique known as machinima. The story, which was created by Skawennati Fragnito, reimagines Sky World as a futuristic utopia and Sky Woman as a courageous astronaut and creator of the world. When she finds out that her planet is dying, Sky Woman volunteers to become the seed of the new world: an Earth covered with water. She Falls for Ages audaciously mixes old narration with science fiction to connect the deep past with the distant future. Transformation Mask is a collaboration between Microsoft Vancouver and independent artist Shawn Hunt. Hunt moves away from the hand-made and explores the authenticity as well as our expectations of what it means to be indigenous by eliminating hand-engraved surfaces. The mask appropriates the traditional aspects of metamorphosis with the transformation of the mask from bird to man. However, in this adaptation, the human mask has been changed, improved, and fused with the machine. This piece incorporates elements from technology, sound, and space. As such, each part of the work reflects Hunt´s interest in how we identify with and understand the word “indigenous”. You are the Ocean is an interactive installation created in Northwestern University that generates ocean waves and clouds as a response to the participant´s brainwaves. Elements such as water, light, clouds, and rays are realistically simulated by computer code. In order to experience the installation, the participant uses EEG headphones (electroencephalography) that measure their estimated attention and levels of mediation through their brain waves. Relaxation and concentration allow the participant to control the water and the sky while the attention level affects the storm: a higher level of concentration leads to an increase in the waves and the clouds become heavier. When the mind is calm, the participant can create a calm ocean. Have you ever asked yourself how it would feel to be on another planet? To provide this experience, the artists created the cybernetic installation Somnium. Visitors can contemplate, feel, and understand exoplanetary discoveries, as well as their micro and macro dimensions, and the potential for life in our galaxy. Burbano is a professor in the Department of Design at Universidad de los Andes, and he has a PhD in Art, Media, and Technology from the University of California in Santa Barbara where he wrote his dissertation on the history of technology in the media in Latin America. In 2017, he was academic chair of ISEA in the Potential Spaces conference at ZKM and visiting professor in the University of Kerms in Austria. 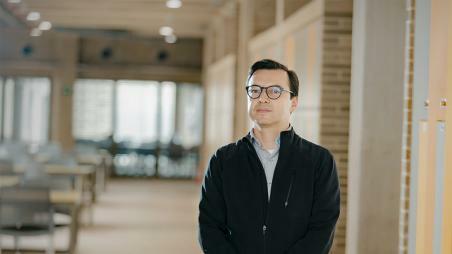 In 2018, Burbano was named as chair of the Siggraph Art Gallery.